Hello beautiful friends! 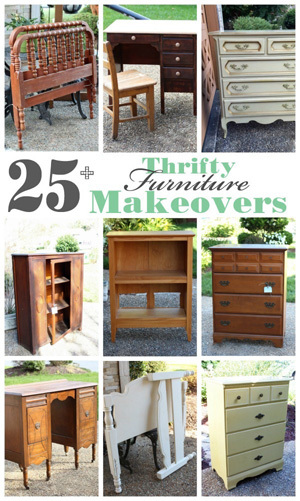 Are ya’ll ready for a furniture makeover today? How about six? 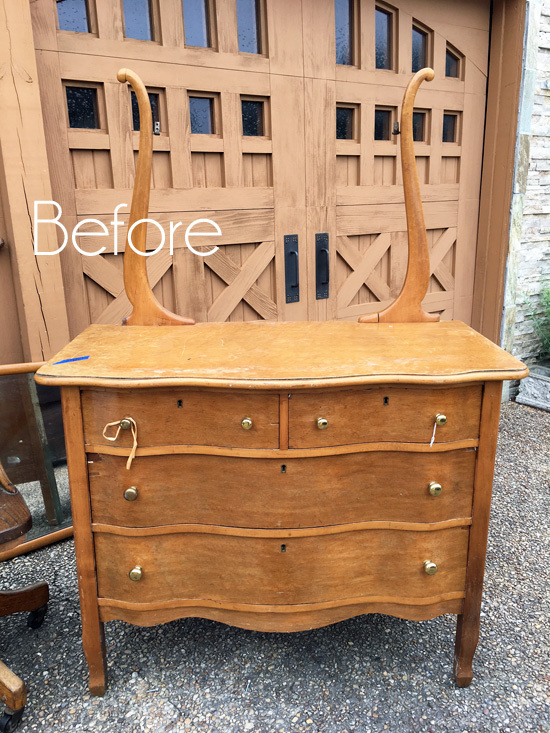 It’s Furniture Fixer Upper day so that means that not only am I sharing a furniture makeover, five of my friends are too! Be sure to look for links to their makeovers at the bottom! This belonged to my old neighbor (from our old house, not that she’s old). She put her house on the market a few months after we did, and was selling many of the furniture pieces she had in her home, including this dresser. 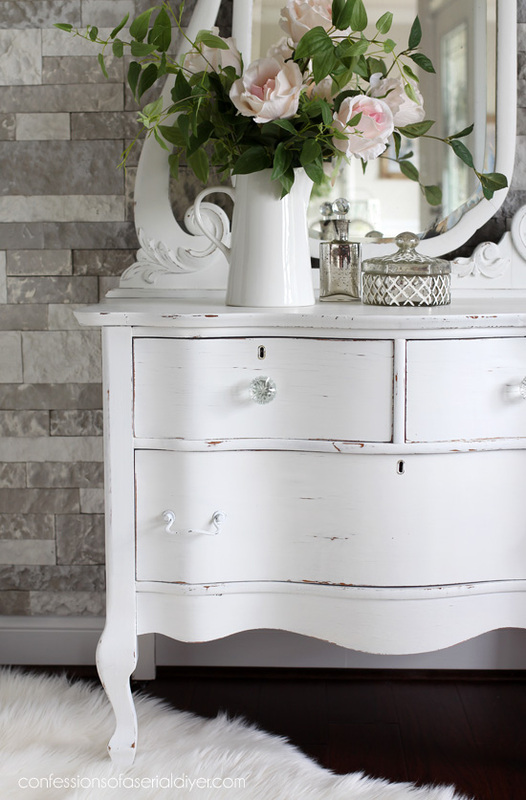 I love this style of dresser and had to bring it home with me. 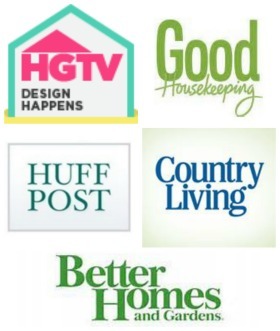 I’ve included a few affiliate links so you can find the products I love. The one towards the bottom of the photo ran the whole length of the top just about. 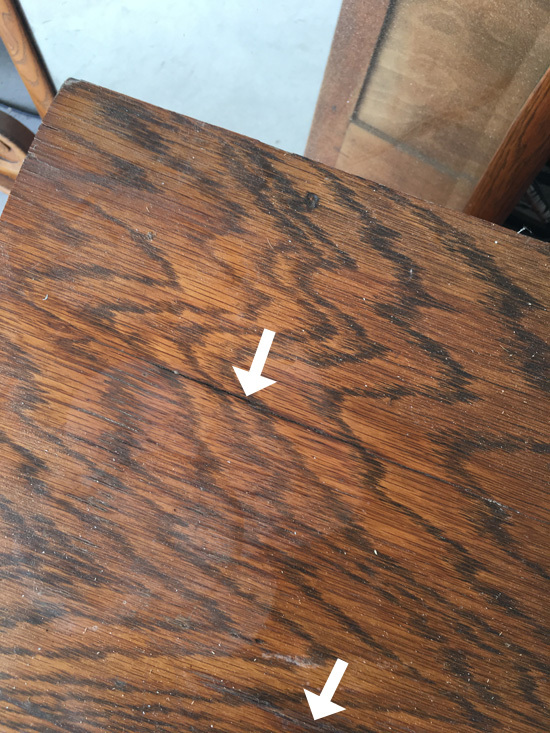 I wasn’t sure that sanding would be enough to fix those areas because the split areas were pretty deep. 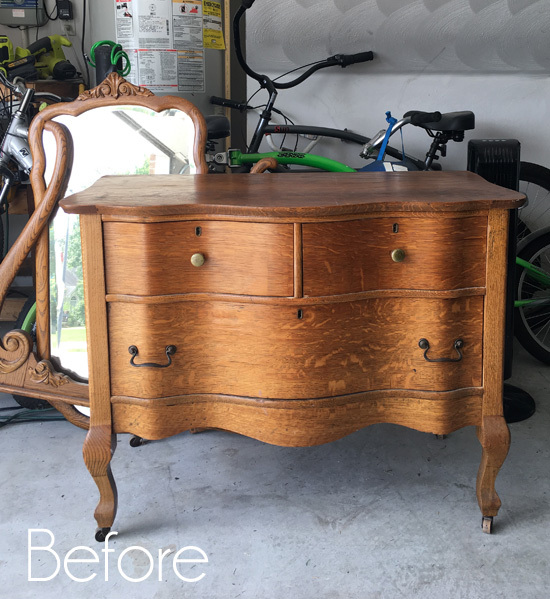 At this point I already knew this dresser would be painted and the more I looked, the more areas that needed to be leveled before painting could begin. So I filled in as many areas as I could with the wood filler. Again, I don’t think sanding would have remedied the deep split areas, so I gave this a go. 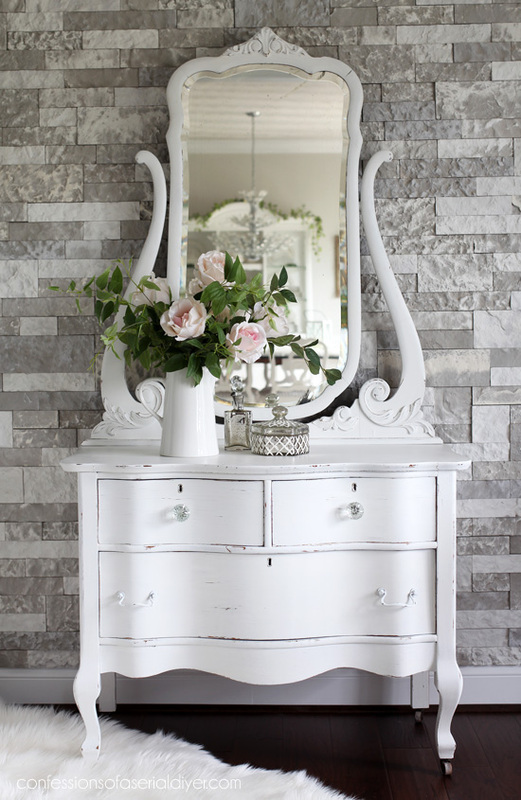 This was the perfect candidate for a simple shabby look, and you know that makes my heart happy. You can see it isn’t perfectly smooth, but much better than it would have been! 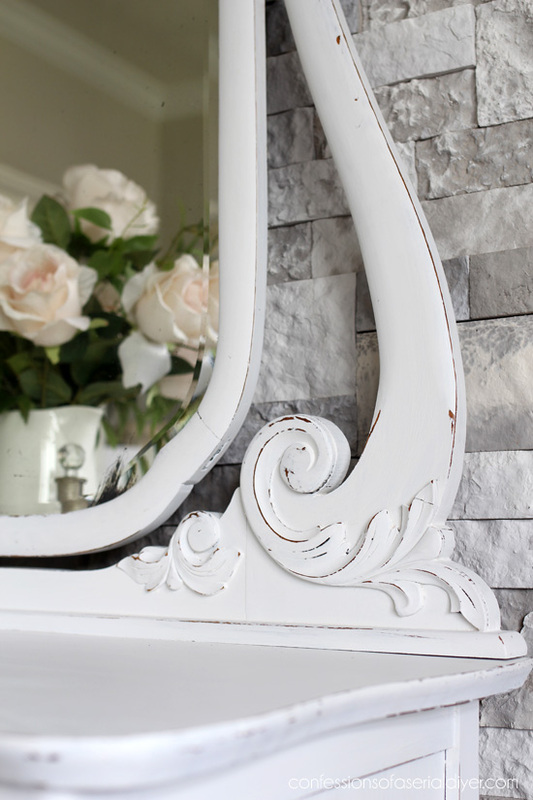 I removed the mirror to paint the frame and then sealed all three pieces with Annie Sloan’s clear soft wax. 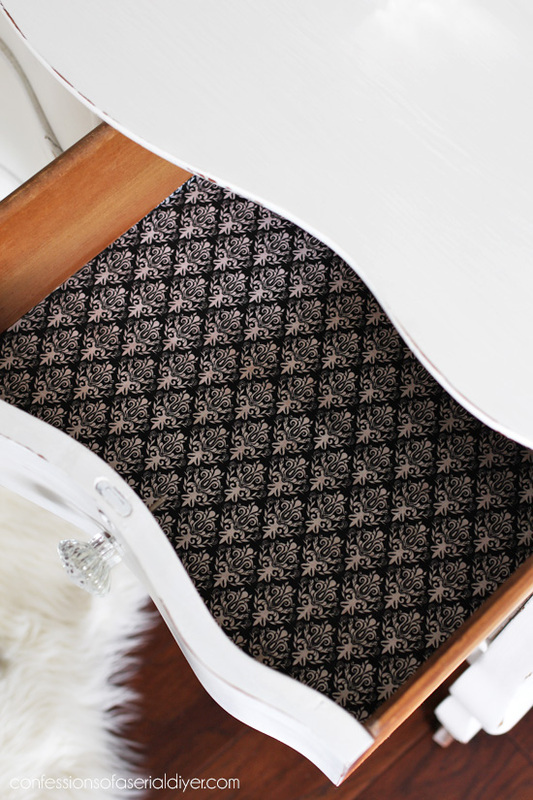 I love how this pretty dresser turned out. He insisted I take his picture while he was on his “cell phone”. 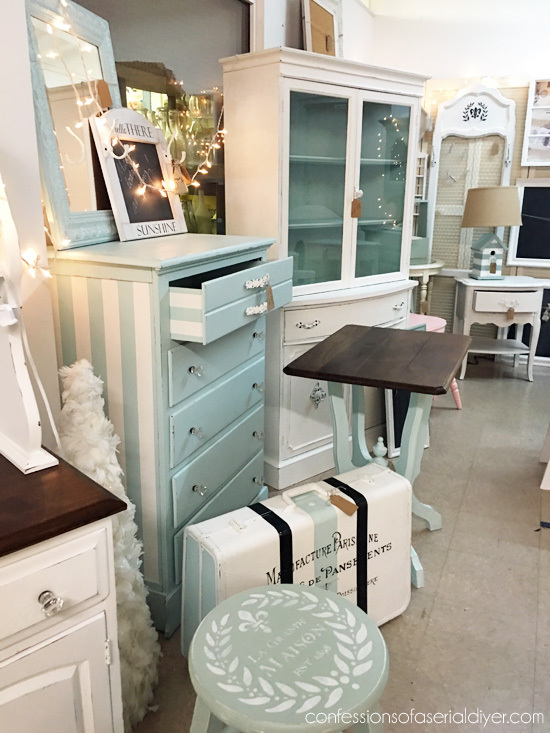 In other news, I recently sold a few pieces from my shop including this desk and this chair and also one of my favorite makeovers, this hutch. And guess what else?? Would you believe I sold the little whale table and chair set I just redid? (See more of it HERE.) After sitting in my shop for well over a year in all its pink glory, it only lasted four days with its new look! Probably helped that the chair isn’t broken anymore either! Since I have some space to fill now, I enjoyed working on a larger piece again! This will be heading over soon! Don’t forget to visit my friends below to see how they transformed their pieces as well! 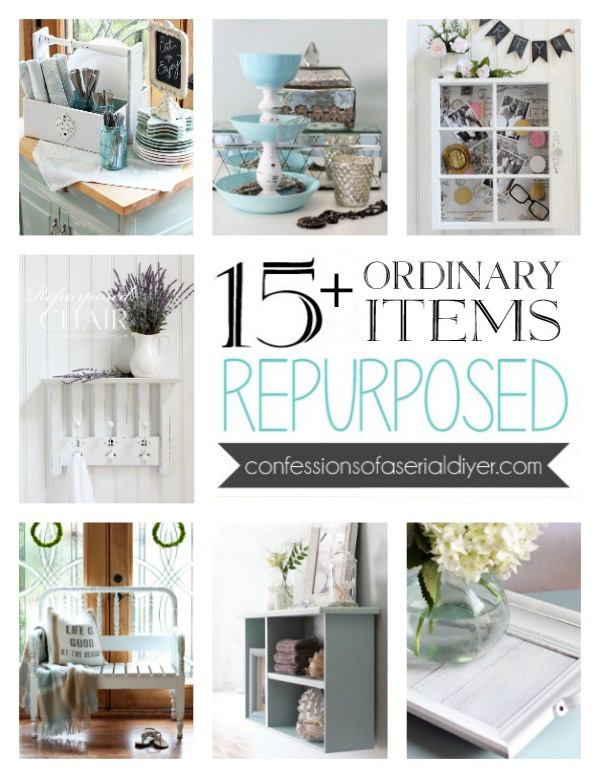 Visit all of my Furniture Fixer Upper makeovers in one place HERE. 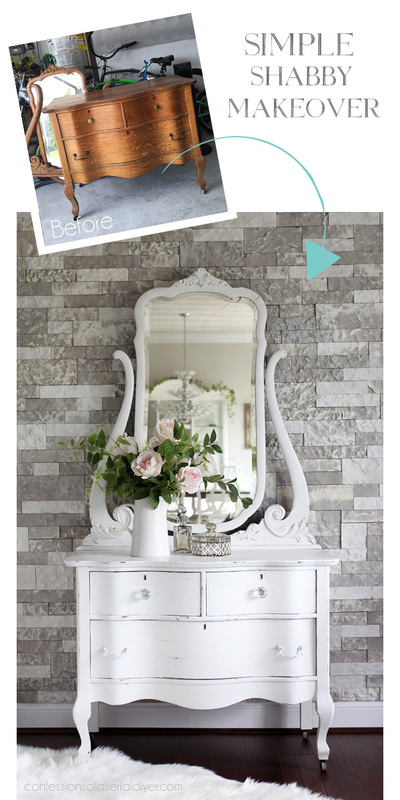 See how this was transformed HERE! 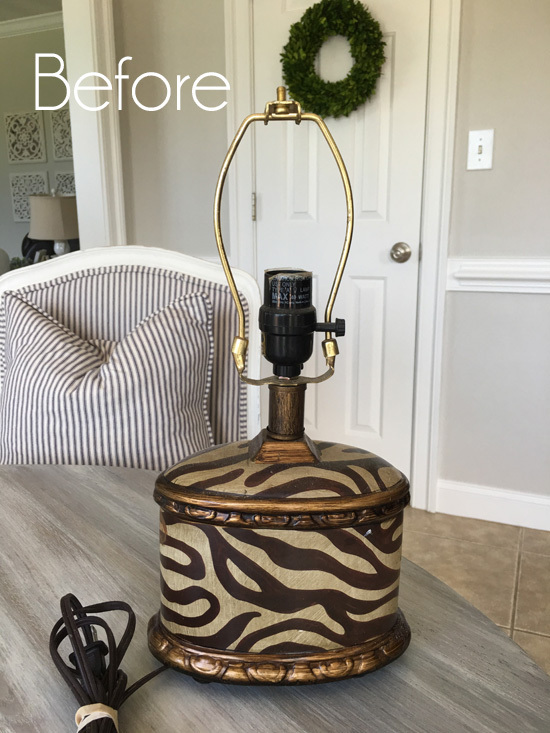 UPDATE: See how I tamed this lamp HERE now! 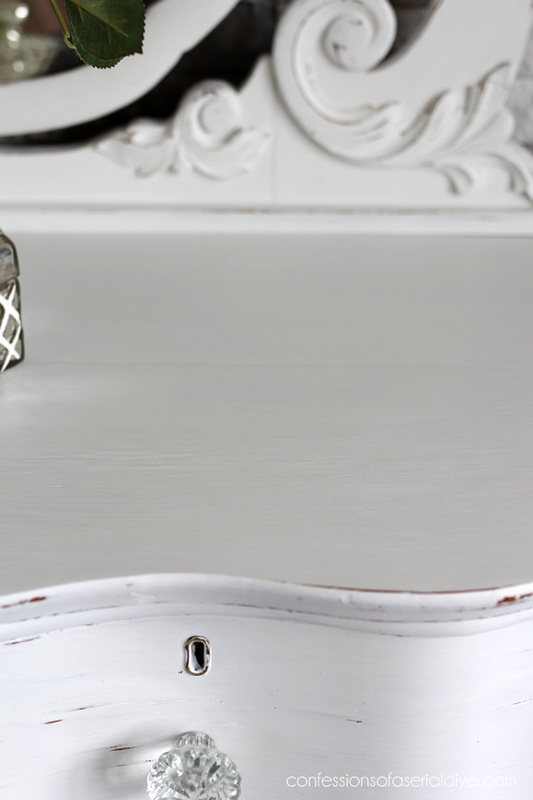 Love the way it brings out the details of the dresser. I am glad you went with your custom white instead of some God awful color lol. Your baby is sure growing up. I didn’t realize how long I had been following you till I saw him and how he has grown. Have a great weekend my friend. Hugs! Hi Laura! I was actually thinking about keeping it. It would be $349 if I were to sell it, and I can let you know if I do decide to let it go if you like. You are amazing! Love how this turned out. And the way it is decorated finishes it off perfectly. Thx for sharing your time and talents. P.S Are those roses real? If not, do you have a source for them? Gorgeous. So glad to hear so many pieces have sold from your shop. No surprise because they all look wonderful. I know you are going to be busy creating new pieces to fill up your shop. Have a great rest of your week and weekend. Oh goodness ❤️❤️ I’d have to keep this one! Absolutely Beautiful! 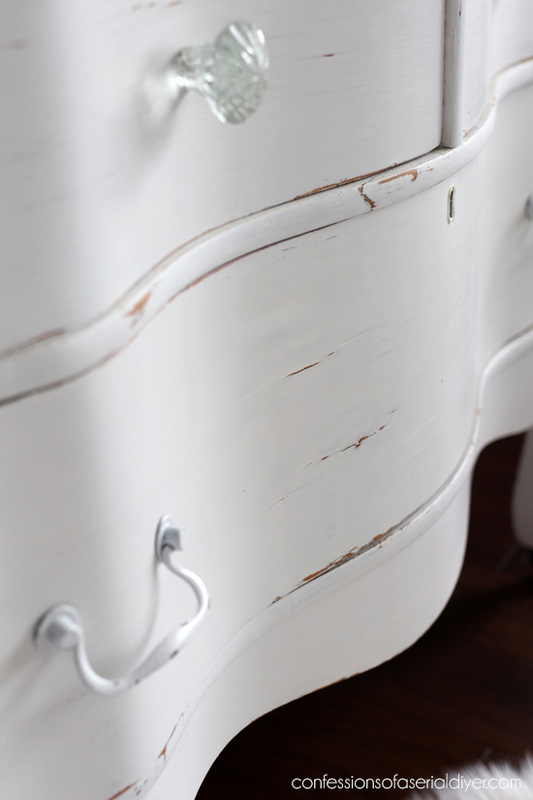 That detail and those drawers! 😍 Love the shape! They don’t make em like that anymore! Just beautiful! 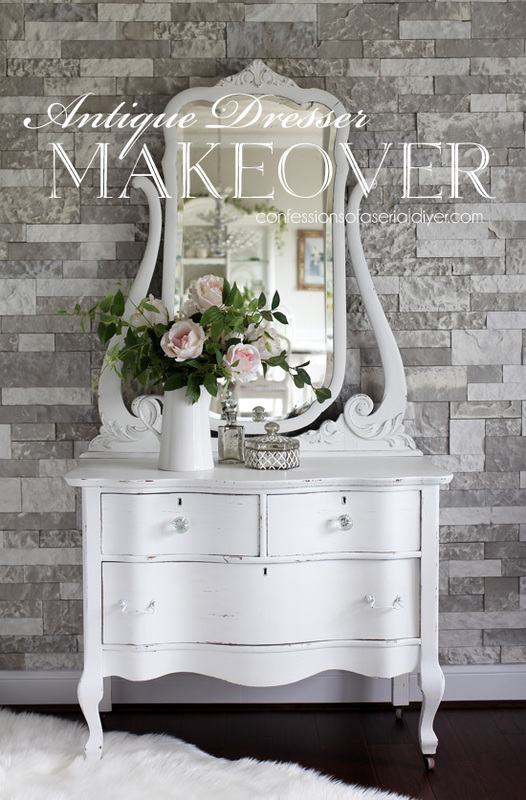 Another great makeover. The dresser came out beautiful. 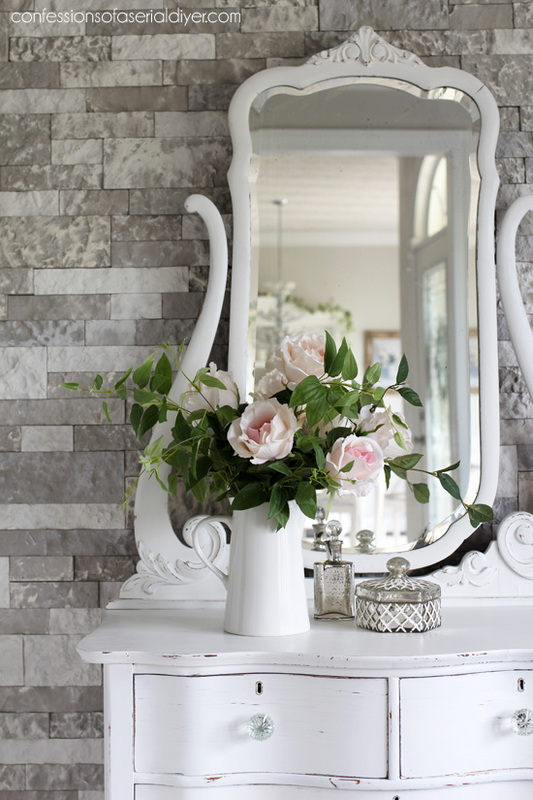 I love the shape & the mirror is so pretty. I also joined your Make It New FB group. I love getting ideas. Unsubscribing – nothing to look forward to – everything is always white and looks the same. I appreciate your input, Lisa, but it is about more than just a paint color. 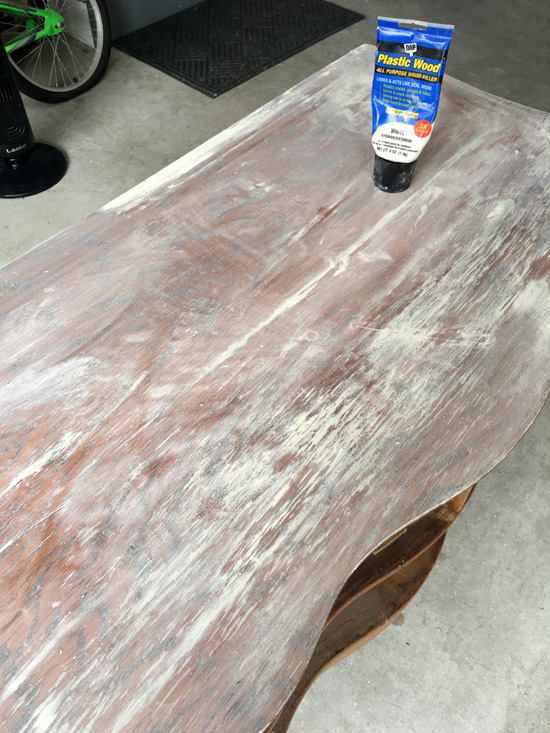 I share to show how to deal with different obstacles, how to turn something that might otherwise be tossed in the trash into something functional and beautiful again, but more importantly I share in the hopes of inspiring others to tackle something they never thought they could…no matter the color. Loved watching your thrift-shopping video! I am jealous because yours had so much great furniture! 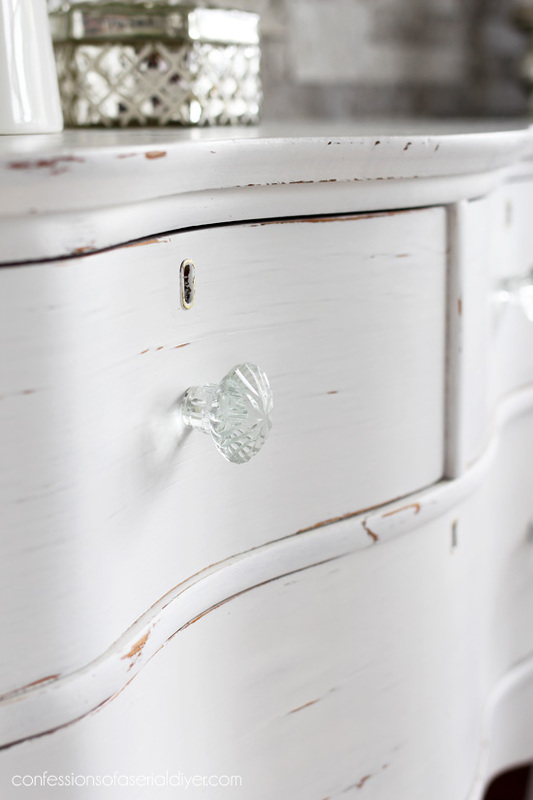 That lovely old dresser should never have been painted, the slight damage on the top is known as character. Now it is gone along with the beautiful oak. So sad. Very surprised you did not recognize what a treasure you had from the beginning. 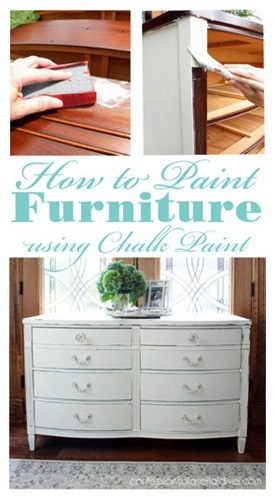 Every piece of furniture is not supposed to be painted. Very PRETTY!!! Love the pulls you used. You always do such amazing work on a piece! WOW this came out so pretty and romantic! Love it! The dresser came out lovely! I didn’t realize the mirror was part of it until I saw it finished! Duh! I have the same fabric in the drawers. I love it! Gutting out my TV cabinet turned kitchen island. Yuck! I have to figure out how to put shelves in there and I just saw that the bottom has vent holes so don’t know what I’m going to do about that. Always something. Beautiful transformation, Christy! 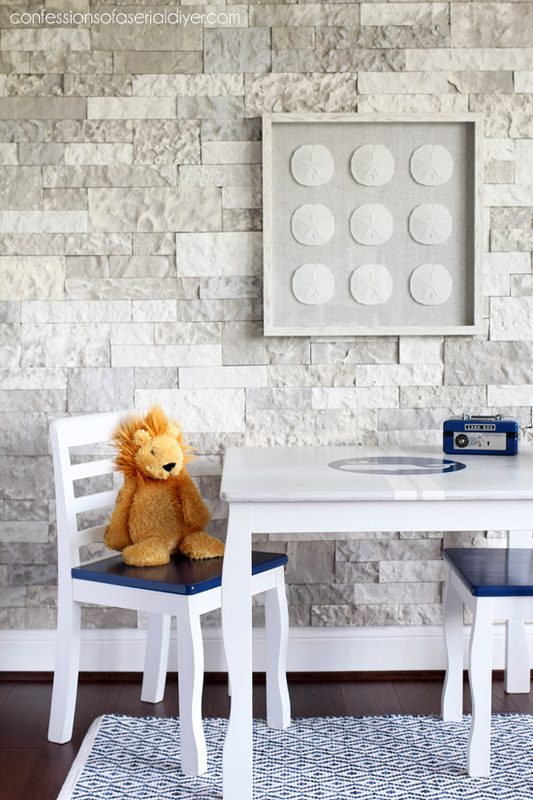 Love the white with the brown wood peeking out here-and-there! And, SO happy you sold some large items recently… we knew that table and chairs would sell fast since you fixed the chair! Yay!!! Christy you have turned it into a winner. Now it shines in its shabby chicness! 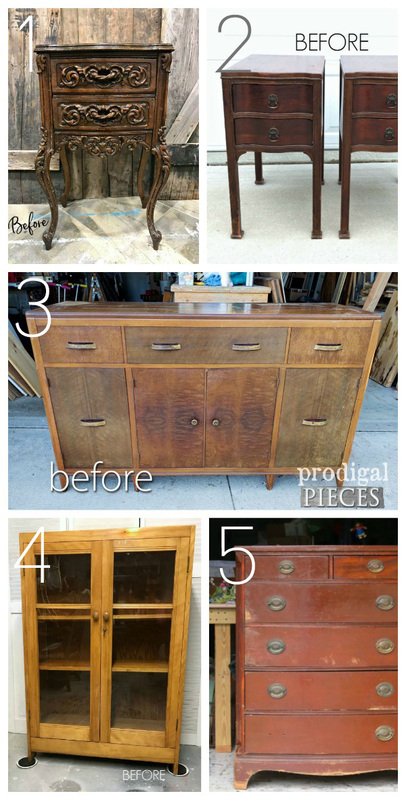 I love this dresser makeover! I am so glad that we are no longer afraid to paint wood. Hey Christy, Hope you and your family had a Wonderful Christmas and New Year. I just wanted to tell you that I was in shock when I found this makeover. 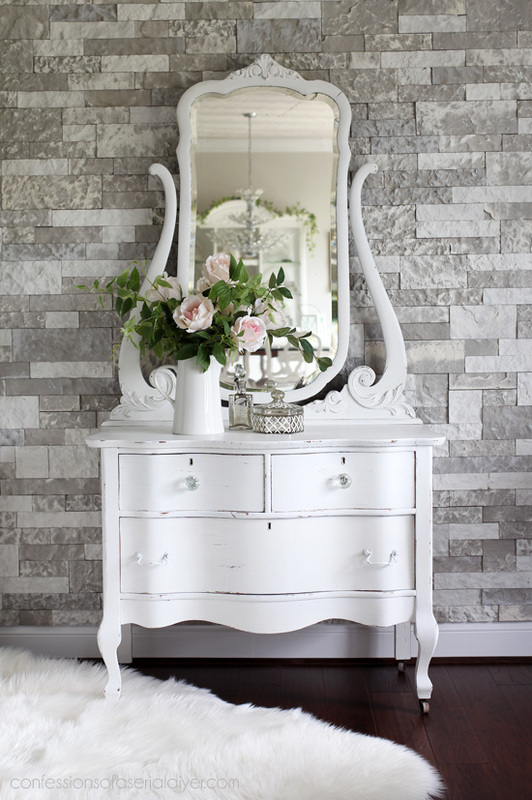 My hubby’s Mother had this dresser on the farm and we ended up with it. 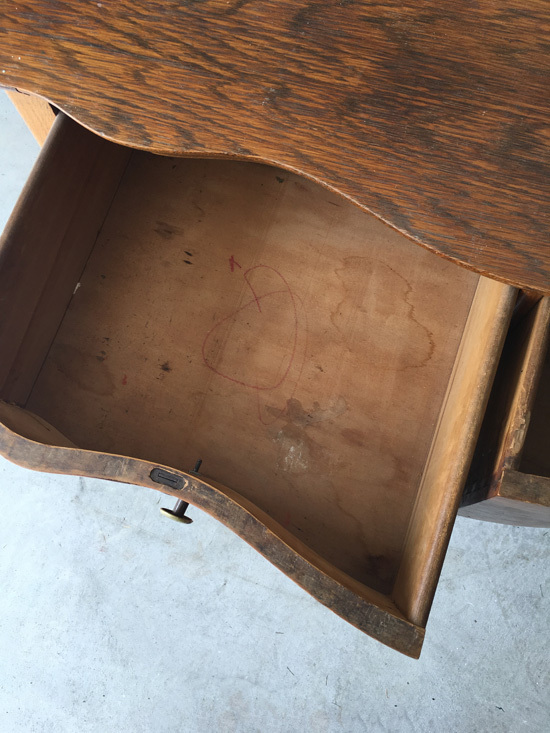 I found the drawers always hard to open and close just due to it rubbing on the wood as the dresser had not runners per say. Not sure the exact age but at least 70 years old. The mirror part on mine, one of the brackets broke and Like an idiot I threw it out. DuH!! 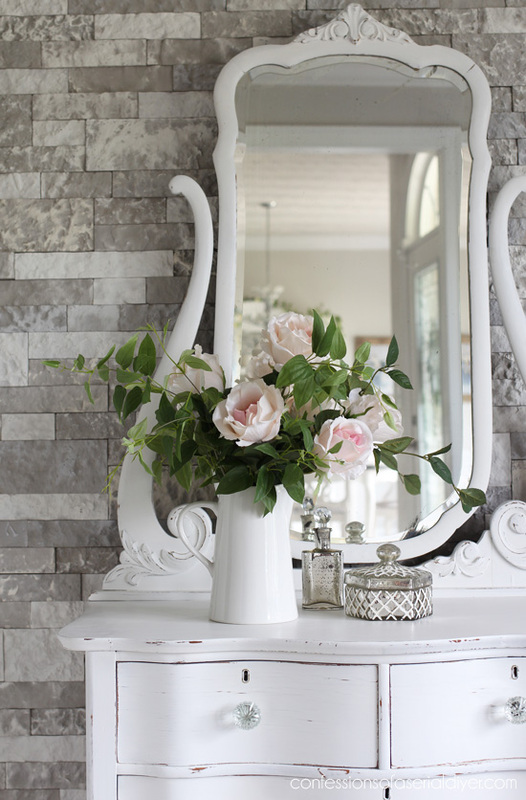 But kept the mirror and just leaned it against the wall. 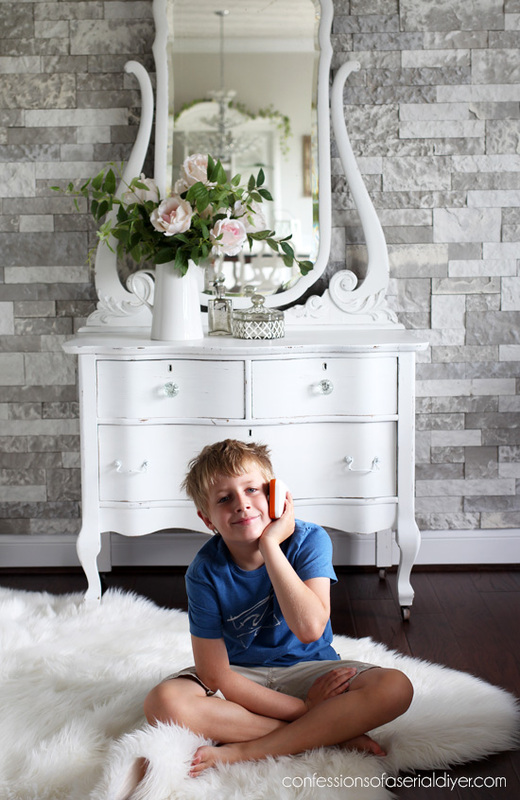 We gave this dresser to my Hubby’s daughter and she loves it. On another note: I am looking to possibly purchase either the Silouette Cameo or perhaps the Cricket air 2. Have you tried the Cricket? I heard it is stronger than the Cameo.